The communities of the NPA are serviced by child care services in Bamaga, Injinoo and Umagico. These services cover before and after school care, as well as day care and holiday day care. The NPA Youth and Child Care Centres are regularly involved in community activities and fun days; promoting culture, learning and belonging. 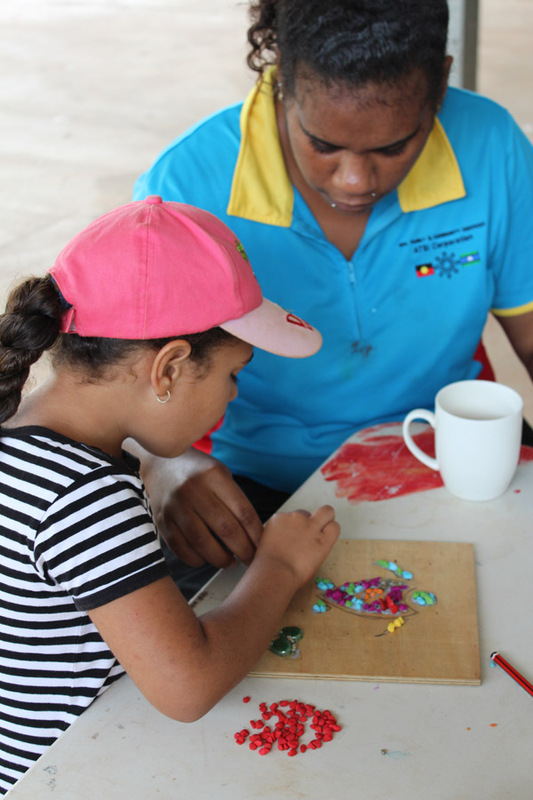 Pictured: Mozaic workshop, held at Injinoo Healing Centre.